Have You Got The Bottle? is a campaign led by the Association for the Protection of Rural Scotland. We set the campaign up in 2015 to urge Scottish Ministers to introduce a comprehensive deposit return system for drinks containers – one that includes all plastic, glass and metal drinks containers. We began this campaign because, like our members, we were concerned about the amount of litter in Scotland’s towns and countryside. Having seen the evidence from forty places around the world that already have deposit return systems, we could see the huge benefits this would bring to Scotland. 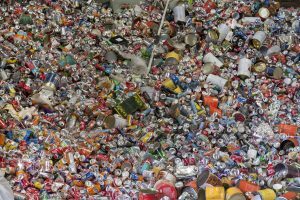 Indeed, independent experts at Eunomia estimate that more than 140,000 plastic and glass bottles and drinks cans are littered unnecessarily every day in Scotland. We have built a campaign coalition of more than one hundred organisations including retailers, universities, transport operators, community and sports groups, environmental NGOs, tourism operators, waste managers, and owners of bars, restaurants and tourism businesses. They support the introduction of a deposit return system because they recognise that it will help to reduce litter, support a circular economy in Scotland, boost the recycling sector and create jobs, reduce public sector costs and improve the environment for residents and visitors alike. We were delighted when, in September 2017, the First Minister committed to introducing an ambitious, world-leading deposit return system. Since then, our coalition has continued to celebrate this decision, while calling for a system that includes as many drinks containers as possible, with all plastic drink containers, glass bottles and cans as a minimum. APRS gratefully acknowledges the funding which the Esmée Fairbairn Foundation has provided towards this campaign. The Scottish Deposit Return System: What should it cover?